After the man had picked her up, she had dozed off, her energy level was really low and not to mention she was hungry. She was slightly drooling and woke up with a start when the man's voice bounced off the walls of something. "Huh!? I'm awake!" she exclaimed, her voice bouncing of the walls. She wiped the drool off her muzzle with her paw wrinkling her snout I'm disgust. "You can put me down now." Philip had stood off to the side, not knowing what to do and he blended into the shadows. Or so he thought. He was glad for that ability but most days the Entity tortured him if he tried to do that. He did notice the little red panda was being held by someone else but he was glad she had made it in. She didn't look like she was about awake for much longer outside. "Maybe later, for now, I'm off to explore!" Ruby said excitedly. She wanted to learn as many human things as possible! She left the area and took flight outside the giant structure, trying to find a good place to enter it from. Tara jumped at Sorey’s sudden outburst. This was all too much for her- too many things in her vision, so many unfamiliar things that made her wary of her surroundings. Tara was more than scared, she was horrified. But she took a deep breath or two, doing her very best to keep calm in such a new situation. She was a guest, she had to be polite. So Tara decided to check her surroundings to try and ground herself into reality. The castle was huge, with the highest corridors Tara had ever seen. It wasn’t quite as elaborate as castles she read about in books, but it seemed more real that way to her. That castle in Beauty and the Beast was more than a fairytale, it was totally unreal. Even if this place were the castles in Versailles or Buckingham Palace, those seem more complicated and would make her even more uncomfortable. How people could live in such large homes back in the day was strange to her, even though she herself lived in a fairly nice home. Thanking her mom for a nice career, she continued forward in the castle. There was a large staircase, leading upstairs. It looked like a lot of stairs, but Tara was okay with that. Anything to stay in shape, if she was going to be here a while. Then there were the people. There was some strange shadowy humanoid thing in the corner, seemingly as shy and nervous as she was. That made her feel a bit better. Then there was a person with dog features, was he one of those furries she heard about? No, those ears and tail looked like they were attached. One was an intimidating brunette man with armor and a huge staff or sword or some other weapon that looked like it could kill Tara. She backed up a little at the sight of this man, scared that he could hurt her. Her large blue eyes widened at the sight of this man, and she seemed to hold herself to make sure she didn’t run away screaming. Then there was a small brunette girl who looked her age. She seemed nice, Tara hoped that they could be friends. But for now she quivered at everything that was strange to her, carefully moving forward. A puppy started bounding towards her, making little yapping noises as he ran. His tongue lolled to the side, slobbering just the tiniest bit. Tara leaned down to catch the puppy. The puppy licked her face with glee, maybe Tara wasn’t going to hate this place after all. Cicero ran through the giant castle, looking for a new friend. He bounded through the halls and soon saw a very scared looking girl. A fren! A heckin’ good fren! Cicero ran towards her, letting his tongue out just for fun! He ran into her arms and licked her face, giving her all the heckin’ good boy kisses. Pascal let out a sharp whistle to grab the attention of a few wandering Lumas, handing a cube to each while giving them clear instructions. "This one for Xander, this one for Natsuki, and this one for Yusei. Let them know it's a delivery from Pascal. Did you get all that?" The three stars nodded, each flying their separate ways carrying a cube. Pascal was sure that they'd manage to complete their task, eventually. "Oh, and let them know Pascal's going on a shopping run!" she shouted when it suddenly occurred to her that she should have added that piece of information, but she wasn't certain if they heard her. Pascal figured she would begin by checking the castle from the bottom up for newcomers who would like to tag along or be dragged along, starting with the garage and sweeping room by room, leftwards. However, she caught sight of the blue Luma that Stan had used to spread his message, and called the quirky star creature over. "You know how you broacast a message earlier? Could you do that again?" At the Luma's prompt, Pascal cleared her throat and began her message. "Hey new recruits! We're doing some off-world exploring and shopping! Meet at the Gate in a bit, okay? Hope to see you there!" Her plan was still to check the castle, but she instructed the Luma to start at the top and work downwards and hopefully they would meet in the middle. "Yuseiii~!" she called into the garage, but Yusei didn't seem to be there. His motorbike -- which he had spent a good part of the last while repairing -- was still present, which might have meant he was still in the castle. What was also in the garage was that action-figure like robot that could turn into a car (it made sense for a car to stay in a garage, therefore it made sense for the robot that turned into a car to stay in a garage...? ), who was sitting against a wall with their head hung low, under a sort of sleep-mode. The amarcian stepped into the space, light on her feet and eyes twinkling with excitement and clapped twice to get the bot's attention, as if she were a sound-activated lightbulb. "Oh, hi! You know I'm Pascal, but I don't think I've gotten your name, Miss robot." As Yusei left with the bots, Circuitraider settled down against the outside edge of the garage's entryway. Sitting on the ground, she had barely started to study the atmosphere of the small planet before a golden-colored... star creature, glided into sight. It seemed to hesitate as she stared at it, bobbing slightly from side to side as it held a small object. "Where -"
"No," Circuitraider interrupted, optics narrowing a fraction. The creature bounced once before turning and rushing away. That was rude. You couldn't just hear what it had to say? Sighing, the Autobot turned her attention back to the atmosphere and studied the stars. They still weren't moving across the sky. It had to mean that the planet was neither rotating nor orbiting around an object. However, that didn't make any sense. Has anything made any sense since I got here? Bowing her head, she shut her optics and allowed her systems to lower their outputs. She wasn't going to try solving the mysteries of the world at the immediate moment. Analyzing and over-analyzing the situation wouldn't work either, it would only leave her distressed about her allies during her absence. Hibernating and compartmentalizing recent memories seemed like a better option currently. The scout still didn't know, or understand, how and why she was on this near-uninhabited planet, let alone what the others were doing here. "Yuseiii~!" Circuitraider stirred at the sing-song call. Clapping and a voice further disrupted her stream of thoughts. "Oh, hi! You know I'm Pascal, but I don't think I've gotten your name, Miss robot." Blinking her optics open, Circuitraider located the source, her gaze drifting to find the human's face as it beamed up at the Autobot. Ten minutes had barely passed since Yusei's departure with the mechs and she was being intruded on for a second time. At least the first interruption could be cut short. She doubted, recalling this human's reaction to her arrival some hours ago, that the girl would simply leave with a glare. Don't pay attention to it. If you ignore it, it'll go away. She's a human, not a lost puppy. An annoying human. Human's are obnoxious and you have no obligations to them anyways! Yusei seemed okay... Stan, I'm not sure about yet. Maybe just give her a chance? Circuitraider groaned internally, studying Pascal's eager face. "Circuitraider. You have a... fascination, with machines?" The bot simply looked back at her, still, seeming unimpressed with Pascal's constant peppy mood. She raised her eyebrows during that pause, until the machine ended up reluctantly answering her. "Circuitraider, got it!" the woman nodded, committing the name to memory. "I wouldn't call it a fascination with machines... It's more of a hobby, though Lil' Bro calls it more of an obsession." "I just like making things," she continued, "and when I make things they end up being cool weapons or robots... and it's always awesome to see how things fit together. My people have stockpiled a lot of ancient tech that we've maintained for generations, but some of it hadn't been operated in so long that we've forgotten how it works. Researching technology from other worlds is kind of like the research I do back at home, in that way, and that's what I do here!" She spread her arms, as if trying to motion to the whole base and all its inhabitants. "I'm going on a trip to pick up some more spare parts, actually," Pascal mentioned off-handedly. "You're free to come along to check it out -- they have a lot of other cool stuff at that place too!" Keaton gasped in astonishment. He spun around ears flattening before poking Ray in the chest with a pointed finger. Keaton, who had become distracted by his newfound hobby of “complaining about other people’s home decor”, didn’t realize that more people arrived until one of them loudly proclaimed that the castle looked “cool”. Keaton’s first instinct was to turn around and argue with the stranger about how the castle was not by any means “cool”, but before Keaton could open his mouth his second instinct kicked in. “Anders, Ray, look!” Keaton said as he excitedly pawed at both of his friends’ arms. “There’s more people!” Unsurprisingly, all of the newcomers, save for the strange white and yellow bear cub, were human. Keaton wasn’t sure if humans were more common in this strange world than other species or if he was just having bad luck running into anyone that wasn’t human. Either way, it didn’t really matter, did it? More people were always welcome so long as they weren’t hurting him. Blinking, Xander glanced away from Illidan and looked at the small yellow star floating this way. “Mhmm!” the Luma said, bowing its body down in what Xander assumed was supposed to be a nod. “I got you this!” The Luma handed (could its stubs even be considered hands?) a funny looking cube to Xander who graciously accepted it. 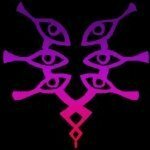 “It’s the communicator Pascal has been working on,” the Luma explained while Xander examined the cube. “She worked really hard on it so take good care of it!” Xander chuckled at the Luma’s enthusiasm. “Oh, Pascal had a message for you too!” the Luma said. It cleared its throat before repeating Pascal’s message in verbatim. “Hey new recruits! We're doing some off-world exploring and shopping! Meet at the Gate in a bit, okay? Hope to see you there!" “Okay!” The Luma said, waving its arm as it began floating away. “Bye-bye now!” Xander watched the Luma disappear off to the other side of the hallway before sparing a glance in Illidan’s direction. At her prompting, Sorey let Masala escape his arms and get away from the nuzzling of this new, animal eared stranger. Like a bloodhound, the stranger leaned in close to sniff the Shepherd all over, tail wagging and seemingly spouting all the first things that came to mind. Sorey stayed still and relaxed and let himself be examined to gain the creature's trust. When the animal man was done, the young man lifted a hand and, stretching onto the tips of his toes for extra reach, gave him a series of good scratches behind the ear. "He can sense us?" asked Mikleo. He reveals himself and deliberately stood about fifteen feet away from Sorey who was laughing while now scratching with both hands. The water seraph frowned, silently judging his friend's decision to have fun petting a stranger like they were some kind of dog. Usually, the spirit knew that only certain people had the potential to see Seraphim, but something bothered Mikleo ever since they literally tumbled into this new location. The stars weren't right, the blessings weren't right, and there was a high chance that the rules of the place weren't right, either. Lack of malevolence might not mean the lack of a threat if the parameters of the game had changed. All of the people present seemed to be guests rather than hosts, which begged the question, who owned this place? "Careful, Sorey, I have a real bad feeling about this," he warned. Out of caution and clutching his staff close to him, the white haired boy looked around the room to see if there was anyone who did manage to see or hear his presence. Meanwhile, a small dog had jumped into the arms of the young girl they met at the gateway. Mikleo froze and silenced his breathing, as if by staying very, very still he could avoid having the tiny, infernal thing bark at him and nip at his shins. ‘Little brother’? The human had family then. That made… sense. Of course the organic would have a family somewhere. Listening to Pascal’s quick rundown of her hobby and work, Circuitraider couldn’t prevent the brief flicker of kinship that sparked in her circuitry. She’s a scientist too… At the woman’s offer, the Autobot hesitated. Should she join her? A communicator? That little cube? Circuitraider wanted to reach down and take it from the star-thing to analyze it but she refrained. I hope Yusei doesn’t need it. The little Luma approached speedily and a a little frantically, its movements betraying its anxiety over being unable to complete its mission. Pascal nodded understandably, and patted the star on the head to calm it down. "That's alright! He's probably on an off-world stroll or something," she reassured, "and I'm sure he'll be back soon! There's not much of a rush for the delivery, anyway. Thanks for your help!" "Alright Circuitraider!" Pascal called the bot after sending the Luma on its way. "Let's head out to the gate!" The Gateway was empty and serene again. It seemed like the influx of newcomers had trickled to a halt, at least until the next wave came in. It was a little lonely again. The sky hadn't changed since the morning even though time had passed. There was a little breeze finding its way through the grass and the flower meadow between the towering stones. Before long, people would gather again (or at least she hoped they would) here to prepare for their departure. Pascal ran over to the teleporter platform in the center of the patch of flowers to check the status of the terminal. She muttered to herself something about "the data being off" and absently tapped a finger to her chin. The coordinates were still centered on the world they sent Stan too, which meant that Yusei was heading there too, for some reason or another -- she could only speculate that he wanted to join in after all, or he figured Stan's party forgot something at base and was simply delivering something. It was indeed a little troublesome that he went without a communicator, but Pascal didn't appear too concerned about that. They had all survived just fine without them up until now, after all. She slid her gloved fingers over the console's interface to select a past location. With the announcement sent out, all she needed now was to wait for her guests to arrive. Illidan listened to Xander speak before a star-shaped creature (Xander called it "Luma") came in and started speaking to him. It also gave him the absolute strangest thing he'd ever seen. This thing was a communicator?? He also heard something about a shopping trip before the creature flew off. "It seems as though we’ll have to put this tour on standby. I take it you would find exploring another world to be vastly more interesting than a tour, yes?" "My goddess, yes. Certainly more interesting than spending the day cooped up in here." Illidan smirked. "...I think I may like you yet, Xander." The weirdest star-shaped creature Ray had ever seen flew about, letting people know about some sort of shopping trip. Ray's face lit up - if there was one thing she loved more than Pokemon battling, it was a shopping spree. Maybe wherever they were going would have malasadas! Or maybe some new clothes? Or even a few supplies for taking care of her Pokemon? The possibilities were endless! "Oh, god, I love shopping! Anders? Keaton? Either of you wanna come with?" The longer Keaton talked, the more confused Anders felt. He actually seemed to consider the idea of intentionally keeping corpses around, which was somewhat disturbing. They were a major disease risk, no matter what Keaton thought about the aesthetics. Dust, bones, broken glass- he’d love Darktown. Maybe he could visit sometime, and they could take bets on how long it would take for him to get a lung infection from sniffing everything. Personally, Anders was happy enough to have a roof over his head. Justice was, anyway. A roof and a lack of corpses. Before he could express his disgust with Keaton’s interior decorating tastes, two people entered the room. One was carrying some sort of yellow stuffed animal and the other looked young and nervous, but they both looked otherwise normal (if dressed oddly). They didn’t have any tails or animal ears that he could see, anyway, nor did their postures indicate that they were interested in fighting. The young dark-haired girl looked quite nervous, actually. Anders kept his guard up and watched them carefully anyway. He felt far too on edge to relax, even if the newcomers looked harmless. “I noticed,” he muttered to Keaton, who seemed intent on making sure that they were all aware that a shouting person had entered the room. He was content to stand back while Keaton ran forward and the stuffed animal thing revealed itself to be alive. Strange. “Don’t we all,” Anders sighed, removing his hair tie and pulling his hair back again. There was also a dog, but Anders had reached the limit of how much one could be surprised in one day. This one was much smaller than (though still as excitable as) Hawke’s Marbari, at least. “A shopping trip,” he deadpanned. Sure. Why not. It wasn’t like they had anything better to do. There was always something that needed to be done. Pascal noted that the Lumas had gathered a much bigger crowd than she had initially estimated as she watched the new arrivals gather, most of which she had met and a few others she had missed but quickly got herself acquainted with. Xander and Natsuki had both also arrived, their cubes received and given a good home; they seemed to not trust her alone with all these people, which was a fair judgement. She waved and gave each one a greeting when they had approached. It was a little hard to fit everyone on the teleporter's platform but they managed with a little bit of squishing. Pascal inputted the coordinates before running the few steps to the stone dias and squeezing in near the edge. Not a moment sooner, they had all vanished to another place. in the next confusing second, the duo were in the air above the Gateway, heading fast for the ground. Cistina didn't hesitate--almost subconsciously, she spun them both in the air as they fell, and there was suddenly a pressure pounding at her ears, but they were slowing and--Cistina coughed out a breath as her back hit the grass hard, and the sudden pressure disappeared, then gasped as the man's weight pressed on her from above, inhaling ash and the smell of long-used, hardy clothes. She turned her head as her lungs protested, for the third time in what felt like barely half an hour, and gave a few rattling coughs, letting her arms flop onto the grass. Keaton’s tail began wagging a storm as soon as the boy began massaging his ears. A content noise rumbled in the back of Keaton’s throat as he closed his eyes to enjoy the sensation of being pet for a few moments he heard someone speak up. Turning his head to locate the source of the voice, Keaton was pleasantly surprised to see another human he somehow didn’t notice earlier. He was alive. Kind of. They spun through the air and he fell on top of her, before he rolled off and onto his back, gasping from the sudden nausea. For a dozen heartbeat he stared blankly into the air, his mouth agape like a fish from astonishment. The sky was blue. A dark blue reminiscent of some of banners displayed by the Great Houses, dotted by unfamiliar stars. He had never seen the sky so blue, even on misty nights. The plants, they were green and yellow and there was so much of them. He had never seen so much of the color green in one place. His mind had a hard time processing the alien environment and so he squeezed his eyes shut. One word came to mind, and one word only. He unconsciously touched his breast pocket to make sure it was still there -- not the dagger, but Mare's memento, that drawing of a flower that looked exactly like the hundreds of blossoms around him. They smelled strange but pleasant, nothing like the gaudy perfumes worn by the nobles. It was nice. He heaved himself to his feet, shaking his head to clear it of the last of the sudden bout of dizziness. One moment he was tossing coins at this persistent woman, preparing to get her off his trail again using the strange, time-controlling dagger -- and the next thing he could remember, he was here within a hallucination of greens and blues and yellows beyond imagination, beside the same woman who was now having a small coughing fit. Kelsier had a hard time putting the pieces together. It couldn't have been all so sudden, hadn't it? He must have been missing some memories. There had to be something that happened in the meantime for them to suddenly be here. "Am I dead?" he finally asks. If he were, that would have put an unpleasant wrench in his plans. Even if he'd offered platitudes during his crew's philosophical debates, he never really thought there'd actually be an afterlife. And while his surroundings echoed Mare's dreams, he couldn't help but be pissed off had he been killed before he had another shot at the Lord Ruler. Though, he doubted it was the afterlife if that woman in yellow was here too. He could only assume she did something or another. She did seem to want the dagger quite desperately. A voice full of static bursts through Cistina's communicator. "Ẃ̨͝ȩ'r͏̕e ̷̧h̸a̢v͡i҉n̷̕g̷͝ ͏̧̧a ̡l̨̢̀itt́͡l̸͜e̶ ̀s̡͡i͢t̴u͞at̢͟͠i̧ơn̵ o̧n҉ ̸̛͝ó̵̵u͝r ̵e̢͝͝n̶͞d ̵͝t̕͏o͏̸o͞͡͡,͡ ̷̷͘ w̛̛i̷̵̷͟͠t̴͟͢͠͡h͠ ̴͝͏̷ḿ̸̧̕͠o҉̸̧͜n̶̛͠s͘͜ţ̷e͟͢͞r҉̵́s̀͢ ̸̡͞m̶̕͢͝a̶̢̛͠d̶̨́͡e͏̀ ̨b̴͝y̢͘͞ ̷̵͟͡t̵̡̛́̕h̶̛͝e̕͟͟͠ ̴̛͞ş͢͞͡a̸̵̡͝͞ń̡̛̕͜d̵́̕̕.̶̸͟͠.҉̡.҉̶̛́͡ ̢҉̕Ǫ̧̀u̸̵͡r͝͏̵̨́ ̡͡a̕n̵͢͜c͝͏̛ḩ͝ǫ͟͡r̸̢ ̡͟͢͟h̡̢͘͜͢e̶͟ŕ̛e̴̛͟͝ ̛̕͞҉i͝͏ś͘͏͏̛ ͏̴̷͘a̴̛͝ń̸̀͏͢ h̴ourgl͠as҉s,͝ s͜ǫ̢ ̴̴̸c̵͡a̧̛ń͟ ̀the͘ ̸͏tw͜͝҉o͏͞ ̧̡͠b̧͟e̵̛ ͏̵a ma͘tc̸hi͠n͟g ͜s͢è͠t̢?̨͢ ͠.̵.͘͢.̛͡C̶i͟s̨t͜i͡n̡͜a͟?́C͡ist͠i҉n͠a?̶! ̵̷̧.҉.̧̕.̴̨Duke̵̡̛?̵͞͝"̨͏̴ ̢҉ ""
Circuitraider | "Beam me up, Scotty!" Following Pascal, Circuitraider remained silent. The bloated star-thing had zipped away and disappeared back into the castle. Even though she knew of where Pascal was heading, she did was she could to avoid severely outpacing the child... woman? The Autobot had yet to decipher what stage of life Pascal was actually in. "How... old are you?" she questioned. She paused for a moment, as if she had to think about counting the years in her mind. "Twenty-two, if I remember right." Adult then, but just barely, if Circuitraider recalled the human aging correctly. Although the little human didn't ask her in turn, the scout provided her own age. It was only fair. "Truthfully, I stopped counting sometime after ten thousand years. That was... a long time ago." "Wow! That is a long time." Pascal's voice suddenly gained a slightly higher pitch, adding to the emphasis in her words. The Autobot nodded once. Unseen weight threatened to drag her shoulders down and, momentarily, her pace slowed even further. Shaking it off with a small roll of her right shoulder, Circuitraider fell silent again for the remainder of their trip. She saw the Gateway before Pascal could. The stone pillars, now that she could view them from a distance, seemed to pierce the twilight sky like fingers reaching for the stars. She still didn't know why she was here but, maybe it didn't matter? It has to matter. Prime - She cut the thought short, preferring not to dwell on it at the present time. She knew exactly what he would say, knew the wisdom of his old age and steady optimism. It was... sometimes overwhelming to think about how he maintained his spirit through even the longest tests of the civil war. Stopping just outside the ring of stone pillars, she rested a metallic hand at her hip, the other hanging lazily. In her chest, she could feel her spark ache with the impulse to study the Gateway and understand the odd transportation properties it seemed to possess. Maybe... Maybe when they returned, she could persuade Pascal to let her fiddle around with the electronics hooked up beside the platform. Even from here she could tell that the primitive technology would yield to her expertise within moments and spill all of its secrets. The thought coaxed a smirk into shifting her usually solemn expression. Circuitraider watched Pascal move to the terminal, uttering something beneath her breath. Perhaps the bot should mention Yusei's departure. "Pascal. Yusei went t-" Footsteps interrupted her and the Autobot turned her head. Looking down, she spotted a boy with wild, brown hair and black-and-red clothes. "Oh whoa..." the boy breathed, stopping as he stared up at her. "I didn't see you before! Are you one of the agents here?" Now she remembered him. He had been gathered at the table with several others when she first arrived with Stan and his pet dog. What was this boy's name again? Sage? No, that wasn't right. Sora. "No," Circuitraider replied simply. He seemed to frown before shrugging his shoulders. Looking towards Pascal, he waved at the young woman. "Hey! I'm tagging along for this trip. Is that okay? I wanna see what you guys do around here." Folding her arms across her chest, Circuitraider responded. It didn't look like Pascal even noticed the boy yet. "Assume so." Apparently, Sora took her reply as a conversation stopper, falling silent and moving to sit against one of the pillars. She remained where she stood in equal silence. It took some time but, eventually, a particularly large group gathered for this trip. Circuitraider would have worried more about the number of bodies being unmanageable if Xander and Natsuki, fellow XDRE agents, had not shown up. Both of them had the same small cubic device the bloated star could not deliver to Yusei. Before she thought about trying to inform Pascal about Yusei's whereabouts, she and the others were rounded up onto the platform. It was cramped but, to her displeasure, a few individuals made more room available by using her as a step stool. Sora clung to her arm as he sat in her hand, grinning with obvious enjoyment. Circuitraider wanted to grumble. She did grumble faintly. Then Pascal stepped onto the platform and the Gateway vanished. Cistina's cube buzzed in her hand, and a distorted, pinpricked, buzzing voice flowed out: "Ẃ̨͝ȩ'r͏̕e ̷̧h̸a̢v͡i҉n̷̕g̷͝ ͏̧̧a ̡l̨̢̀itt́͡l̸͜e̶ ̀s̡͡i͢t̴u͞at̢͟͠i̧ơn̵ o̧n҉ ̸̛͝ó̵̵u͝r ̵e̢͝͝n̶͞d ̵͝t̕͏o͏̸o͞͡͡,͡ ̷̷͘ w̛̛i̷̵̷͟͠t̴͟͢͠͡h͠ ̴͝͏̷ḿ̸̧̕͠o҉̸̧͜n̶̛͠s͘͜ţ̷e͟͢͞r҉̵́s̀͢ ̸̡͞m̶̕͢͝a̶̢̛͠d̶̨́͡e͏̀ ̨b̴͝y̢͘͞ ̷̵͟͡t̵̡̛́̕h̶̛͝e̕͟͟͠ ̴̛͞ş͢͞͡a̸̵̡͝͞ń̡̛̕͜d̵́̕̕.̶̸͟͠.҉̡.҉̶̛́͡ ̢҉̕Ǫ̧̀u̸̵͡r͝͏̵̨́ ̡͡a̕n̵͢͜c͝͏̛ḩ͝ǫ͟͡r̸̢ ̡͟͢͟h̡̢͘͜͢e̶͟ŕ̛e̴̛͟͝ ̛̕͞҉i͝͏ś͘͏͏̛ ͏̴̷͘a̴̛͝ń̸̀͏͢ h̴ourgl͠as҉s,͝ s͜ǫ̢ ̴̴̸c̵͡a̧̛ń͟ ̀the͘ ̸͏tw͜͝҉o͏͞ ̧̡͠b̧͟e̵̛ ͏̵a ma͘tc̸hi͠n͟g ͜s͢è͠t̢?̨͢" She couldn't respond, not at first, with her lungs so itchy." ͠.̵.͘͢.̛͡C̶i͟s̨t͜i͡n̡͜a͟?́C͡ist͠i҉n͠a?̶! ̵̷̧.҉.̧̕.̴̨Duke̵̡̛?̵͞͝"̨͏̴ ̢҉ "
"S-Stan!" Cistina gasped. Her throat still tickled, but she repressed the urge to cough, turning her attention to the cube she held. "I've found a man who possessed one of the anchors we were seeking. We are at base at this moment." Cistina glanced over as she spoke, eyeing the man in the rust-colored outfit. There was an expression of awe, and maybe worry, on his face, so completely different from the ferocious look that he bore mere moments before. He closed his eyes, and a hand reached up to touch a pocket on his chest. Cistina looked around, nodding to herself. True, it would be a shock to someone to just suddenly arrive to a starry land with lush grass and clean air after that place. Come to think of it, Dynast had said the skies were grey and the ash was constant as well, did he not? This must be some sort of paradise for him. "Am I dead?" he asked, as if affirming her thoughts, then looked over to her. His expression changed to mild displeasure upon seeing her, though. Cistina couldn't blame him. "No, this is the base of our faction. I take it that you will not be surprised to hear about the existence of worlds beyond your own?" She asked, then gestured towards where she thought the dagger might have been on his person. "That dagger, for instance, I doubt has any kith in your world?" The woman had confirmed his suspicions that this was simply an elsewhere, and implied that there were many other elsewheres. His tin-enhanced senses let him feel the subtle breezes swirling over every blade of verdant grass, the crisp air with its stars above and the earthy scents from the soft ground beneath his feet. Despite himself, he grit his teeth. It was unfair that other places were bountiful and his own world was barren. If his lands were even a fraction this fertile, less skaa would have to starve to death or die from overwork while the nobles took all of the meager harvest. An army that was better fed had better hope and a better chance at a successful revolution. She said worlds, plural. "There are a lot more worlds outside of mine and this one, aren't there," he deduced. Places beyond places. Worlds beyond worlds. There was always another secret. "I'm sure you've seen the sorry state of my world then, compared to any other. We have an oppressive monarch who's been slaughtering and enslaving the common people for a thousand years, while the noble houses fight over what little they can squeeze out of the skaa. All I want to do is end it. "You're right, the dagger isn't like anything me or my friends have heard of. Maybe it was some lost treasure that the Keepers forgot about, or is from another world like you said. It doesn't matter. All that does is how it gives an edge to whichever side has it in hand." He shrugged and gave her one of his whimsical smiles. "There's no guarantee that we would win or lose either way. But so many lives hinge on us winning this hopeless battle that we need every advantage we can get. You say you and your friends need this, but can it wait just a little bit? Once we slay the Lord Ruler, you can have it." Of course, there was a lot more to it than just that. He needed a lot more time than he let on. Disposing of the Lord Ruler would cause a power vacuum the nobles would be quick to fill, unless they were already destabilized by mistrust and civil squabbles. The skaa were not ready to fight. Hope had not yet spread. He'd have to keep a close guard on the dagger itself for the months they needed to prepare the coup and get all the pieces in place on the board. But another part of him was eager to test the limits of the otherworldly object. The effects of the Eleventh Metal were uncertain.... The time-bending, on the other hand, was very real. And now, the dagger itself was a key to even bigger negotiations. The knife was only a small taste of the infinite well of possibilities born from people and places no one ever imagined existed, just as they could no longer imagine the existence of old gods and green plants. "I'm Kelsier," he said with renewed lightheartedness, and he pushed his sleeves up to his elbows. Layers and layers of thin scars covered the skin of his forearms, a symbol instantly recognizable to most people in his world but entirely meaningless to an outsider. "I apologize if I'm rusty at introductions. My reputation usually precedes me." While she was in thought, he continued talking, this time about the dagger anchor, confirming that indeed, it was of an otherworldly nature. He smiled charmingly, explained why he needed it. It was much more than that--Cistina wasn't a fool, she'd spent enough times in the halls of politics to notice plotting and planning. I'm ill-fit for such cutthroat negotiations. She looked deep into his eyes--a hard look was set in them, and she shivered. What manner of person is he? "I wish you the best of luck, but I cannot in good conscious help you," Cistina spoke the words sadly, from the memories of the bloody deeds done and witnessed. "I will not...." But if I do not, will we secure the anchor? Cistina hesitated, then shook her head. There is a better way. "No... No matter what Duke said, I cannot help you start a war." "...and Now it's Raining Rainbow Jelly". A grey, gelatinous slime ball, similar to a water balloon, awkwardly hopped over to the blue object on the ground, ears perked forward and feline tail twitching in excitement. Each hop sent it slightly off-course, but it was able to gracefully turn each time so the next hop was more direct. Still, it took a lot of focus, and it was especially difficult considering the blue object was thin, square, and immobile. The grey ball let out a distressed yelp as a similar pink-colored one barreled into it, just as curious about the object. The grey ball flattened its ears and squeezed its eyes shut pitifully, before nipping its pink look-alike, resulting in the other slime yipping and rolling away with the grey slime still stuck to it. The commotion of the two slime's tussle roused the presence inside the foreign blue object. The cloth shifted a bit before the top flap opened, and a beaked face poked out of it, blinking against the bright sunlight. "Huh? Awww... come on. I hung this up two hours ago!" she grumbled. She wriggled a bit before kicking off the blue backpack, revealing the astonishingly-larger size of a red bird. The backpack, much smaller than her, collapsed flatly on the ground now that it was empty. She groggily stood up on her talons and looped one strap of the pack over her beak, before checking up on where she was. Yup. Still on this archipelago in a nasty, sticky sea of slime, surrounded by hundreds of colorful slime blobs. She could still hear the Slime Sea crashing against the rocks nearby, and still smell its unnaturally clean air. "Unnatural" because this definitely wasn't regular sea air; lack of saltiness aside, it had a strange, clarifying scent that the slimes themselves carried. It was fascinating to her when she first arrived to this place, and she had spent so much time exploring the isles and discovering more and more slimes, before she found this collection of abandoned houses that seemed to have one of every slime! They were fun to watch and kick around, and never seemed to die... then, she discovered the one, utterly disappointing fact of this place: the lack of danger. There was nothing to fight and nothing trying to fight back. It was like the world was made of bubble wrap! Kazooie sighed and turned back to the tree she had hung her home - the backpack - on. The bare branch had been reduced to a broken stump, and several twigs lay around her. Some wind must have snapped it while she was asleep. I knew I should have just kicked out those slimes in the barn and slept there, her thoughts muttered. She perked up, now hearing the quarreling slimes nearby, who started up a game of nip-and-run, laughing and jumping around like it was the best thing ever. Kazooie watched cynically; it wasn't the first time she had seen that. This place needs a boss battle, she mentally yawned. Part of her wondered if there was one and she had just glossed over it in her flights, but she quickly dismissed the idea with a shake of her head. She couldn't even feel if there was a plot brewing! It was calmer than the lazy summer days of Spiral Mountain, of which Banjo was certainly enjoying right now... or maybe he noticed she was missing and was now looking for her. That sounded like the great basis for a new adventure, but an adventure would have at least something she could do. Thoroughly bored, the red bird trotted down the slope to the cluster of buildings she had found, barely acknowledging the rainbow of slimes hopping and rolling all over the place. Blue ones adorned with rocks, glowing red ones, sticky amber ones, pink ones, grey cat ones... one of the greys spotted her and wiggled its rump, before playfully jumping into her, as harmless as a beach ball. Kazooie just batted it away, unamused, and the unfazed slime just hopped off to tackle one of its playmates. "Well, let's see..." The Breegull stopped in the center of the ruins, looking at each building in turn and ignoring the happy squeals around her. "Unchanged, unchanged, and... unchanged. Nothing new here, again... Guess I could train more... or sleep." she huffed. "Hm." She dropped the backpack on the ground and crawled back into it to think, even though she didn't need the extra security. "Are there any new moves I could try? I can't think of any..."
Kazooie stayed in that pack for several more minutes, pondering what to do for the day now that she was awake. For a few seconds she could have sworn she was weightless inside there, but the sensation was gone as quickly as it came... it must have been nothing. Yet, the backpack was made of incredibly-thick plot armor - er, magic, you could say - and Kazooie could only speculate that a slime had bumped into it, causing the weightlessness. In reality, she had fallen from the sky above the Gateway in a rain of slimes! A Pink slime fell first with a loud splat and a big grin on its face, and a yippee announced the arrival of a grey Tabby slime that hit its head, flew a short distance, and landed just a few feet away from Cistina in the grass. Then a blue Rock slime fell, then a Crystal, and a Phosphor, and more Pinks and a Boom and a Hunter-! Even a Honey slime hit one of the gatestones and slid off, painting it a golden brown. The tense silence was broken by the yips and laughs of thirty small slime creatures as they quickly dispersed to explore this new, strange planet with rich green grass dotted by flowers, only vaguely curious of the two humans in the vicinity. The Tabby slime by Cistina became engrossed by the trailing ruffles of her dress, pouncing on it playfully, while Kazooie's backpack landed just a short distance away on the teleportation pad. The bird inside noticed a dull impact, but could also hear the commotion from the slimes and assumed it was nothing out of the ordinary; the gelatinous blobs never take anything seriously anyway. The woman's expression was uncertain and unimpressed. Kelsier recognized a certain distance in her eyes, as if she were thinking of some other event in her past... When she turned down his offer, his smile tuned into a disappointed frown and -- after tucking the dagger away -- he raised his empty hands in a shrug. "It won't be a war if we end it quickly, but because you seem to be so convinced, I guess it can't be helped." He planned to explore the land a little first, to see if there was anyone else who he could appeal to, but he figured it would be best if he could first secure a way back to Luthadel. Crossing his arms again, Kelsier took a look around the green grass of the meadow. He could only see the massive stone monuments and the stone platform on the ground, so he concluded that the only way to escape was the same way he came here, either by that woman or the cube in her hand. "Any chance you could return me to my life, then?" he asked Cistina. "This place is nice and I'd like to take a look around, but I do have a job to finish." Before she could reply, however, he heard tiny giggles above him. He lifted his chin and squinted, seeing some strange, gelatinous creatures tumbling from the sky like huge drops of rain and, before he could move out of the way, a surprised-looking bright red slime fell straight onto his face and tossed him off balance. To Kelsier it felt like getting hit by a hot wet pillow, and the allomancer stumbled and fell to the ground with a muffled yell. "That may be what you believe," Cistina said, scowling. "I will not be persuaded because I've lived through what you speak of so casually, seen its affects on people..."
She trailed off, a sudden shiver going up her spine as she got a sudden sense that she just did something foolish. She looked over him, away from his face with a glint in his eye that he's planning something, as he crossed his arms--scarred arms--almost too casually. He had well-defined, wiry muscles and his casual pose made her feel even more unnerved, even if in all likelyhood she should be the confident one in this scenario. He has that dagger and Philana knows what else, and I've not even my spear on me. I have my magic, but.... Cistina bit the corner of her lip. It's not that she wouldn't kill if she had to--the goddesses knew she had the stain of many people's blood on her hands--it's that she was barely sure of what she could even do now. Even Olivya, the least attuned to combative magic of them all, had relatively easily transitioned to spellcasting in ways that stretched all but the most liberal of theories in water magic, while she still stuck mainly with the basic skills writ and taught to all who wished to learn air magic, and for good reason. There was when she first stumbled out of the temple, dazed from having her mind opened up to the nature of magic and gods themselves, a scroll case with one of the most devastating spells in the Isles clutched to her chest, and the knowledge inside imprinted on her. She was tired and dazed, but there was still a current of exhilaration running through her, and there was the strongest of urges to do something, just to see what would happen. Cistina sucked in a breath at the memory, blinking into focus just as Kelsier asked her if she could return him back to his world. Cistina turned slightly so she could see the podium machine, careful to never take her eyes off him. "Oh, my apologies, but I am not the one you should speak to for that. But there is a man in our organization who wears blue and has spikes and stripes in his hair who should be here and be able to send you back," Cistina racked her brain. Yusei should be here, correct? I do not remember him coming to join us when we left for that ashen world. "But so long as you have that dagger on your person, I do not think many of the other agents here would be keen on letting you simply sail away." There was a soft fluctuation in the world again, and Cistina looked up to see a group of shiny, colorful blobs as well as a knapsack descending from the sky. Another anomaly? Are the amount of them increasing now? Cistina kept the man in her peripheral vision, but as splats from the creatures landing sounded around her, her focus turned towards the creatures and wondering how she would deal with them all. One fell and bounced towards her, and she headed the next few feet in concern before it became enamored with how her skirt swished around her. And the excitement still wasn't over as a buzz came from her cube, and Stan's voice--barely disternable--sounded from it. "Cis....alright? Jowan...re chas... anchor....you s.."
Cistina barely even tried to make sense of it, instead providing a report as brief as she could. "I have returned to the Gateway; the man carrying the anchor is here. Another anomaly had just occurred as well, and there are many amorphous creatures around the teleport gate." In reply, the words she made out from the haze and buzz were"...You...Base...Getting Duke ...Back with.... the other..." before the message ended. Cistina looked back up.﻿ "Some of the others will be returning in some time. They could perhaps send you back, but I will not promise you such an outcome." She opened them to see a beautiful dawn, a circle of stones, beautiful flowers... and peculiar slimes with faces on them. Then it hit her. Where were her friends?! "Flora?! Mermaid?! Twinkle?!" Had they not been hit? Or had they? She didn't know anymore, and she didn't like that she didn't know anymore. Ruby red eyes soon caught sight of a man, a woman, and a backpack. There was possibly something alive in that backpack, but whatever it was wasn't exactly in Cure Scarlet's sights. Oh, and the slimes. Can't forget the multitude of slimes. If this was a trick by Dys Dark, it was certainly one of their strangest tricks yet. Still, she'd be remiss if she didn't at least try to ask where she was. "Excuse me, but... I... Where am I, exactly?" Stan -- Gateway -- We're back, baby! Stan raised his eyebrows, pleasantly surprised as grey and black gave way to the oversaturated blues and greens of their base planet. That was a smoother jump than he had expected. It was like a gentle landing with an experienced pilot rather than the reckless stomach-turning landings he had gotten used to all his life -- sometimes you couldn't afford to do it the safest way because you had cops on your tail -- or the ridiculously inaccurate first few teleportation experiments he would have rather banished to the forgotten realms of his mind. Compared to the tumble he had coming back from the scouting trip, that add-on Pascal gave him earlier that day seemed to be doing its job. He wouldn't doubt that the rest of the cubes would be calibrated the same way... and hopefully the rest of the gang would arrive on the Gateway, and not four feet above the Gateway. Or, stars forbid, four feet under the Gateway. He wouldn't put it above Pascal to mess up on something as inane as that. He dropped Lamar. The youth stumbled, his legs giving way, and he began coughing from the unexpected coolness of the air. Stan felt a satisfied smile pulling at his lips as he watched the teen feel the ground with an air of complete disbelief, his eyes bulging and mouth stunned into silence. Gateway duty was hilarious and immensely rewarding just for the look on people's faces. If only you didn't have to explain to people where they were, or risk getting punched in the gut with lightning. The cons definitely outweighed the pros. The Gateway just kept on giving. He checked his phone, then put it back into his pocket. Despite hours having passed in Luthadel, not much time had progressed on the Gateway (though it was hard to accurately gauge the time, of course, what with the eternal morning). Cistina still had her cube in hand and hadn't appeared to have waited too long. He gave her a wave, then looked behind him to search for the person she had apprehended. The most prominent person there, other than Cistina, was a smaller girl standing on the scene with hair as red as the pink slimes. Stan figured that there was no way someone as technicolor as that could come from Luthadel based on its desaturated palette and besides, she appeared too clean. Too clean and too lost, from the way she looked around. "Hello there, lovely miss, welcome to the Gateway!" Stan greeted. "Last I heard you missed the big welcome party, so I apologize for the lack of a proper entourage." He gave her a smirk, a wink, and a salute. His eyes darted to the side, finding a third form half-buried under a pile of affectionate slimes of all colors. He didn't know how, or if, Cistina had managed to do that, but that was probably the man they were looking for, wasn't it? Lara had felt the slightest twinge of jealousy when Stan was giving Duke a speech as if he were on his bloody deathbed. Oh well, she supposed it didn't matter. He got along in a certain way with Duke, almost in a way she had wanted him to act with her. Almost. In a way, she was fine with how they interacted currently. Either way, she knew she had to get Duke off of him in order to get him to quit the melodrama. He was getting rather annoying with that dramatic speech. ….Maybe because it wasn’t directed at her? ….No. No no. No. Nooooooooooo. Stan had held onto her hand just a little longer than she was used to, but she wasn’t the one who let go. Her cheeks flushed just a shade when he squeezed her hand. Hell. What was wrong with her today? ---her stomach lurched the second she landed on the platform. Groaning, Lara stood for a second and used her cube hand to clutch her stomach. Ugh. Normally landings were much smoother- maybe she shouldn’t have been in motion when she warped. Ouch. She took a second and when her stomach was alright again made a step forward. Her ankle had other plans. It immediately collapsed as she took her step and she found herself, face-first, on the ground, knocking the wind out of her. She stayed there for a few moments, gasping for breath until it finally came back to her. Lara used her arms to lift herself up and stood back up, dusting herself off. Well, she was embarrassed, but her ankle was fine. Just a bloody *******, the damn thing was. It had to collapse just like that, didn’t it. Lara looked around and saw a familiar looking puppy bounding through the soft grass towards her. She smiled. “Aww, Cicero,” she sighed. She was annoyed that nobody brought him to base, but relieved that her new friend was safe. She supposed not a lot of time had passed here, after all. Lara looked to see Stan talking to what looked like a twelve year old girl with bright pink hair and a very simple summer dress. Curious, she picked up Cicero and listened to their conversation, scratching the top of the dog’s head as she did so.